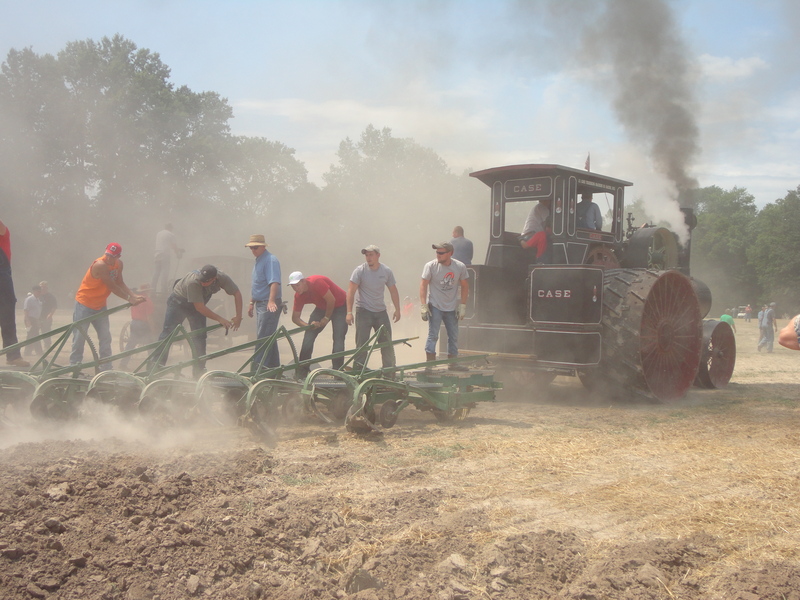 Steam engines are often at shows, but at this year’s American Thresherman’s Reunion, they were put to the plow. We witnessed this Case steam engine plowing with six men riding on a 12-bottom gang plow. This was the 54th year for the show and there will be a fall show as well. For more information, log onto http://www.americanthresherman.com/history.html. Previous Post: At the American Thresherman’s Show Minneapolis Moline is King!